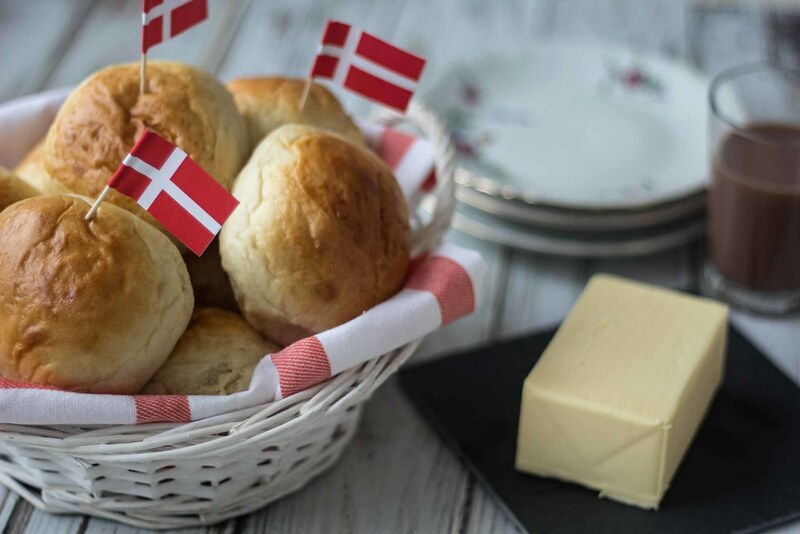 A traditional birthday party in Denmark is properly not that different from birthdays all over the world. It is all about getting together with friends and family, cook some great food and then just have a good time. A birthday is not something you celebrate every day so it is alright to spent some extra time making it something special. When we are celebrating a birthday in our family the food is a big and important element – it has to be the best. This recipe for the perfect birthday buns are simple to make and super delicious. 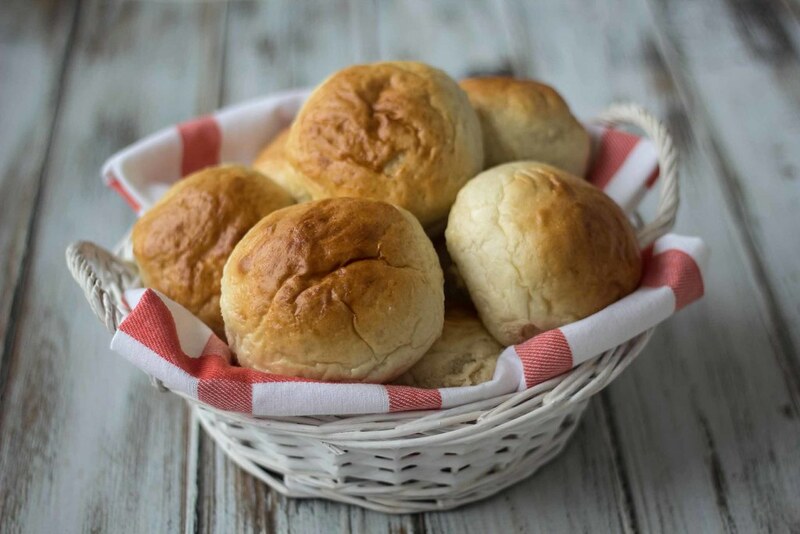 These buns are just competently ordinary and classic buns make from plain flour, butter and some sugar. 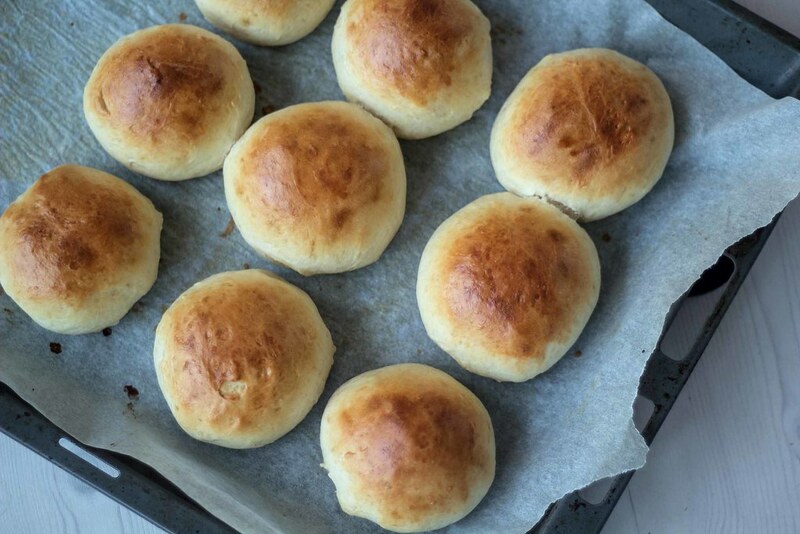 They are certainly not the most healthy buns you can make but they are super delicious and that is what matter when you are celebrating a birthday. When we are preparing for a birthday party we always have a thousand things to do before the guests arrive. These buns can easily be made days in advance and frozen in plastic bags – before serving you just reheat the buns at low heat in the oven. Then you have super delicious buns that are almost as they were freshly baked. We will recommend serving these buns with some homemade strawberry and rhubarb jam which is simple to make and real delicious. Step 1: Heat the milk to a lukewarm temperature and dissolve the yeast in it. Add sugar and salt and stir well until both ingredients are completely dissolved. Step 2: Melt the butter, let it cool off a bit and slowly add it to the milk while stirring. Step 3: Step wise add the flour while stirring. 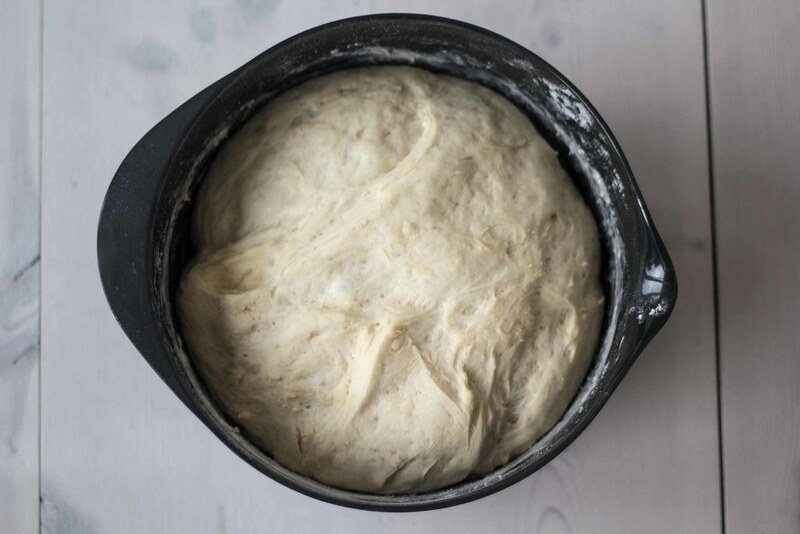 When the consistency of the dough gets thick use your hands to knead. The amount of flour needed depends on the quality of the flour. Step 4: Cover the bowl with a kitchen towel and leave it for raising for about an hour some place warm. Step 5: Divide the dough into 20 smaller pieces and roll them into buns. 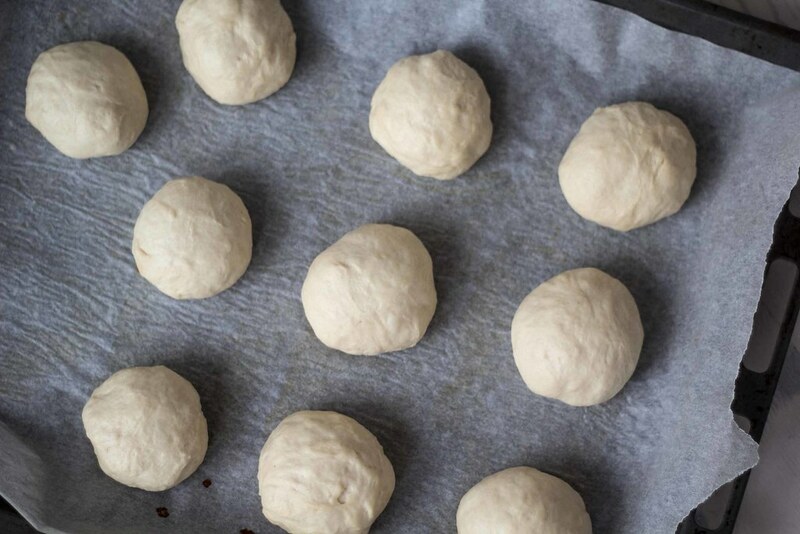 Place the buns on a baking tray lined with parchment/baking paper. Step 6: Brushed the buns with a beaten egg/egg wash. This will add a beautiful light-brown color to the buns. Step 7: Preheat the oven to 200 C (400 F). Bake the buns at the center position in the oven for about 10-12 minutes. Tip: Serve the buns with some homemade strawberry and rhubarb jam. This recipe for homemade jam only has four ingredients, it is easy make and super delicious! 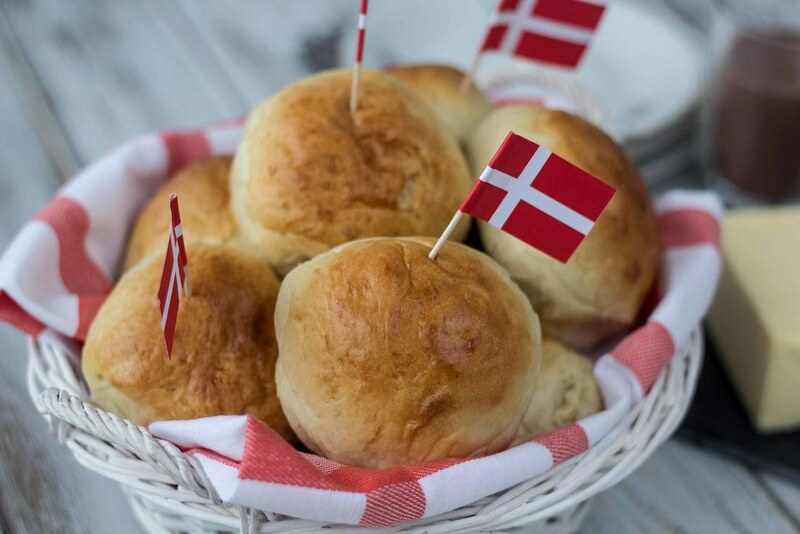 Because in Denmark we only have one kind of wheat-flour. You can probably use bread flour instead. What a great site. 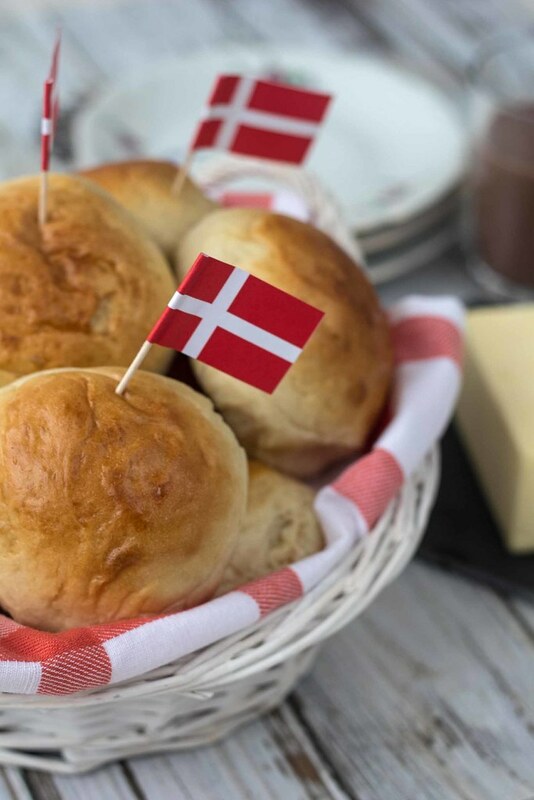 I’m half Danish and like to cook Danish food so some great recipes for me. What yeast are you listing for recipes? I use dried yeast as it’s hard to get fresh in UK? Are you going to do a weinerbrød recipe?